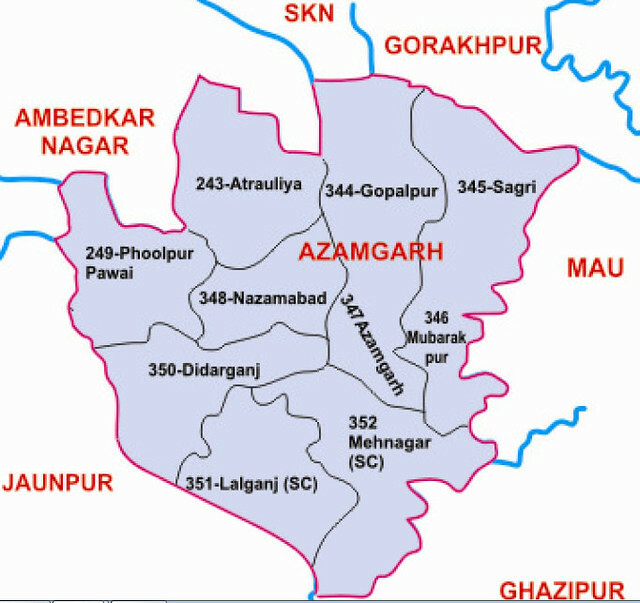 There are ten legislative assembly constituency in Azamgarh district for the 2017 Assembly elections. They are 343 Atrauliya, 347 Azamgarh, 350 Didarganj, 344 Gopalpur, 351 Lalganj, 352 Mehnagar, 346 Mubarakpur, 348 Nizamabad, 349 Phoolpur Pawai, 345 Sagri. When Uttar Pradesh assembly election 2017 is getting ready to electios new Assembly, Azamgarh is not anywhere behind in the election heat.Azamgarh district is one of the three districts of Azamgarh Division in the Indian state of Uttar Pradesh.